Romelu Lukaku and Paul Pogba will not be starting tonight’s Manchester Derby, as per reports. The Belgian international missed out on Manchester United‘s trips to Bournemouth and Juventus after picking up an injury in training last Friday. 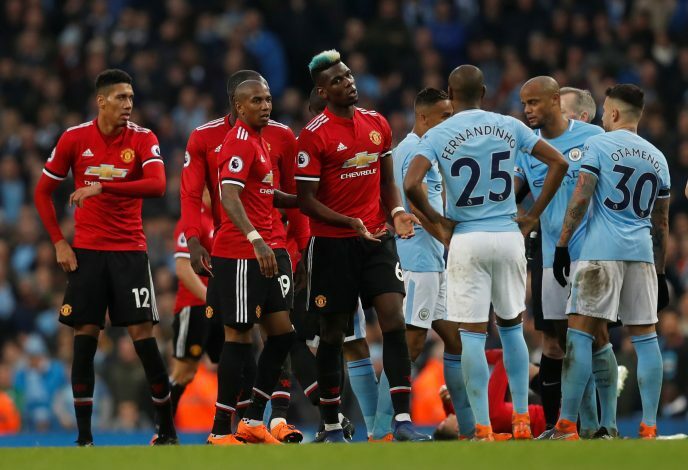 Jose Mourinho did admit that the 25-year-old forward had returned to training ahead of the game at the Etihad, but refused to provide any concrete news regarding the player’s availability for team selection. Lukaku was seen arriving at the team hotel along with his fellow teammates, however, which does indicate that he will be included in the match-day squad. However, the star striker won’t be a part of the Manchester United team that starts the game against Manchester City, the Independent journalist, Miguel Delaney, has revealed. Further, he has also claimed that Paul Pogba won’t be starting the crucial Premier League encounter against Pep Guardiola’s men either. “Hearing no Pogba or Lukaku in United’s starting XI,” Delaney tweeted this morning. The Frenchman supposedly picked up an unknown injury after the game against Juventus, and he also failed to arrive to the team hotel with the rest of the squad, which initially sparked the speculation regarding his absence. How will the Red Devils cope without two of their biggest stars?